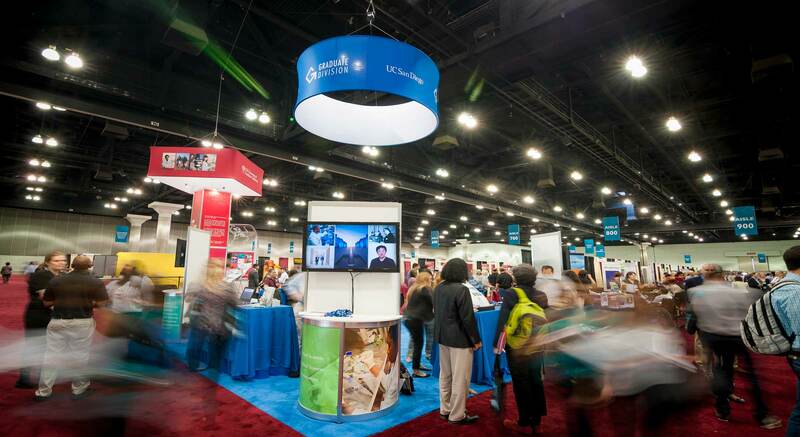 UC San Diego’s involvement with the SACNAS conference extended beyond the updated booth and marking efforts. Over 40 undergraduate and graduate students attended, and some were recognized for outstanding research. Faculty from our graduate programs participated as speakers, exhibitors and judges; program staff also attended. UC San Diego’s new SACNAS chapter, formed by students, was also officially recognized at the conference. The SACNAS conference also offered the campus an opportunity to launch the new “Graduate Division” name and brand. 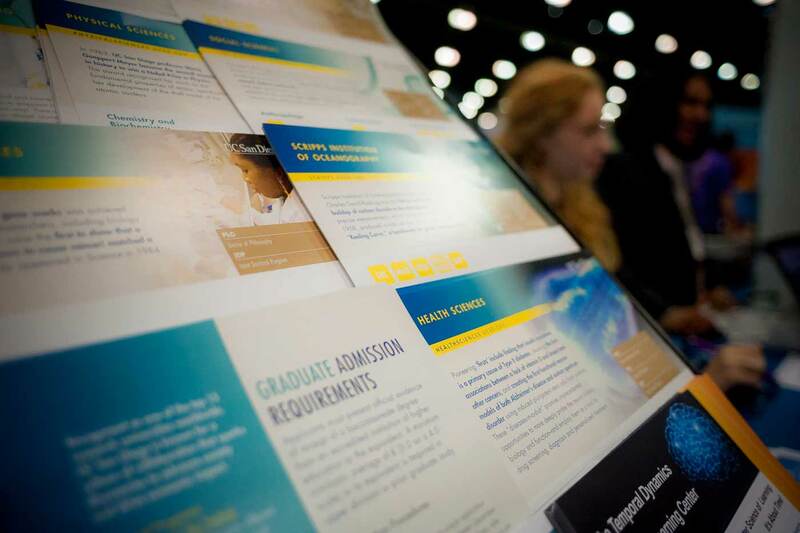 Formerly the Office of Graduate Studies, the name was selected to be consistent with fellow UC campuses and underscore the importance of graduate education at UC San Diego. 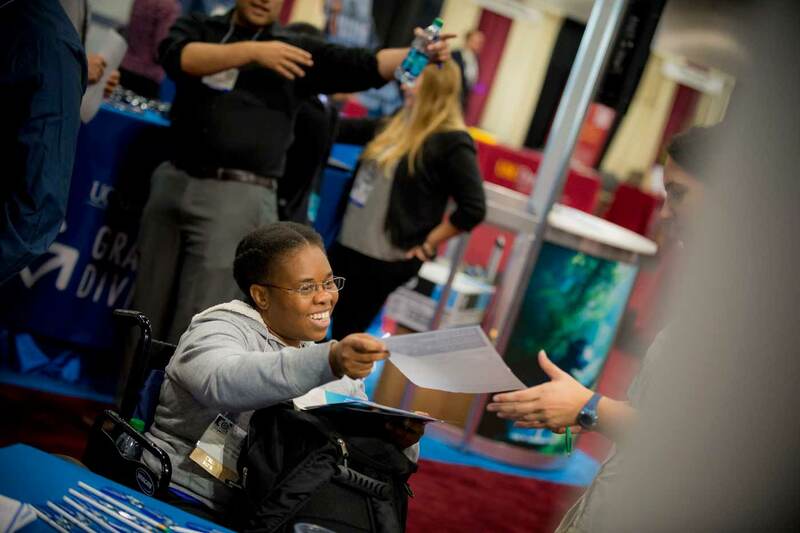 The Graduate Division coordinated the coalition of campus programs at the conference. The Graduate Division is the central resource for all things related to graduate education, providing support for staff, faculty and students at every step in a graduate student’s career. The rebranding process, which was based on in-depth interviews with campus constituents, includes changes to ensure that the Graduate Division is accessible and supportive for campus members. As part of the process, a new website is currently being developed to offer a more user-friendly and helpful experience. 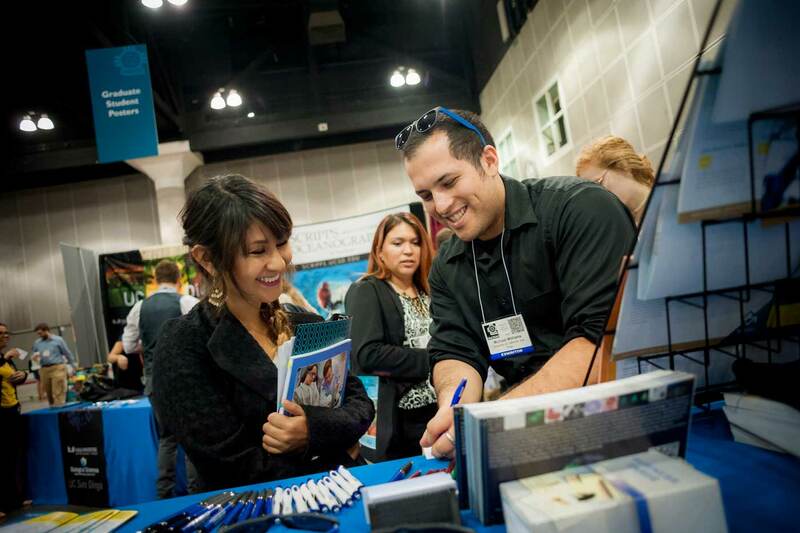 Outreach to prospective graduate students at conferences like SACNAS is just one of the ways that the division supports graduate education at UC San Diego. In addition to facilitating administrative requirements, the Graduate Division offers services to enhance the quality of the graduate student experience on campus, such as professional development programs and opportunities to network with students across campus. Dean Barrett also collaborates with faculty members who would like to develop new graduate programs, helping to navigate the process and provide insight into how new programs fit into the broader university landscape.